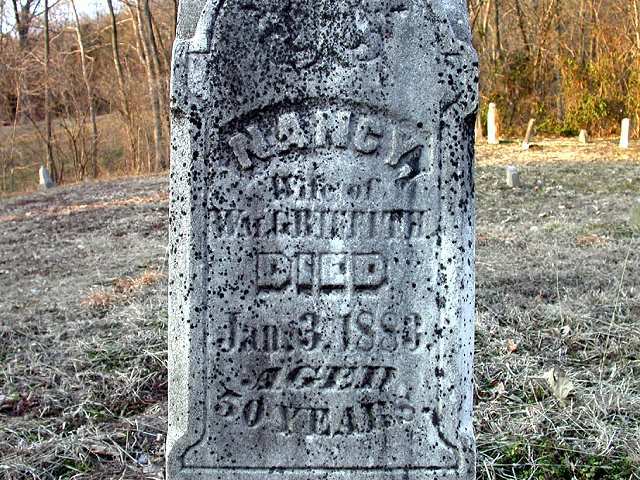 The Grave of Nancy, wife of Wal Griffith. 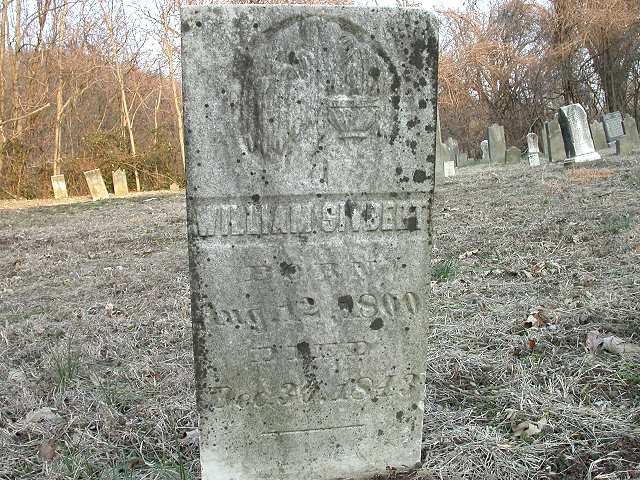 The Grave of William Sivbert's wife, Barbara. 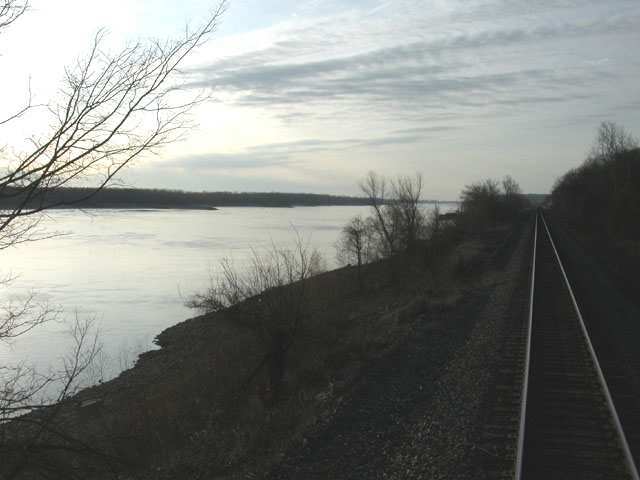 The train at rest on the tracks near the Old Mansker Cemetery. The tracks cross a small overpass near the cemetery. 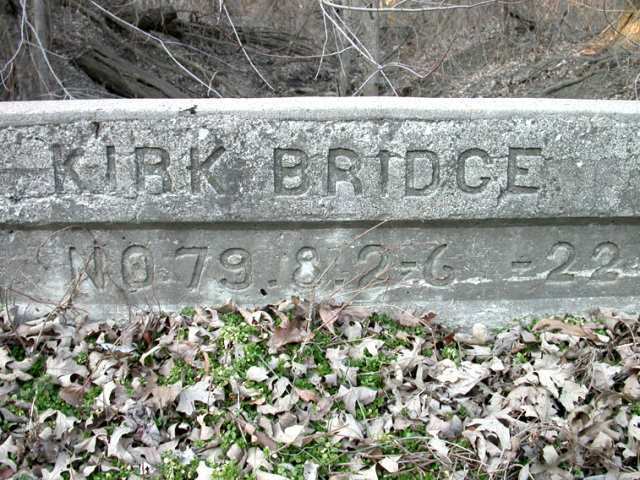 It's named the Kirk Bridge, evidently named after the Kirk descendents of Samuel Mansker. 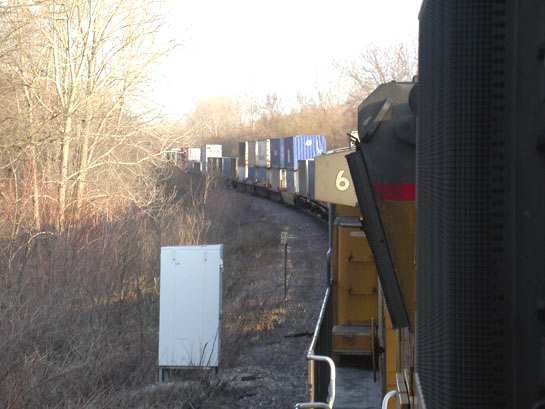 Another Cameron Cook photograph from the top of his train. 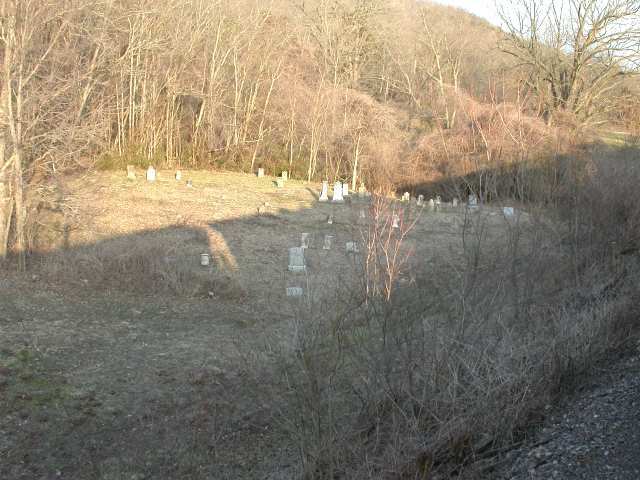 The cemetery is to the right of the tracks. Cameron Cook took this photograph from the top of his train. 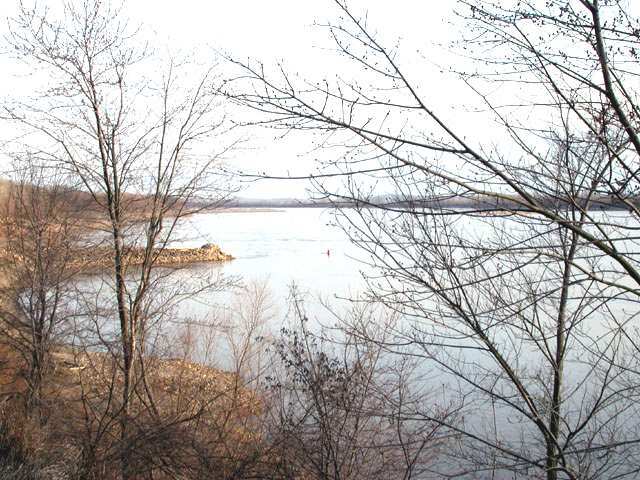 The cemetery is to the left of the picture. It's also not clear who this Nancy is. 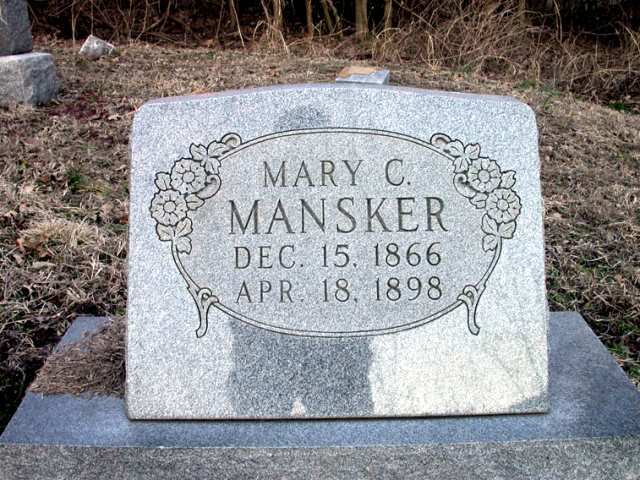 She was born in 1832, a date which doesn't correspond with any of the known Mansker children born around that time. Can anyone identify her further? 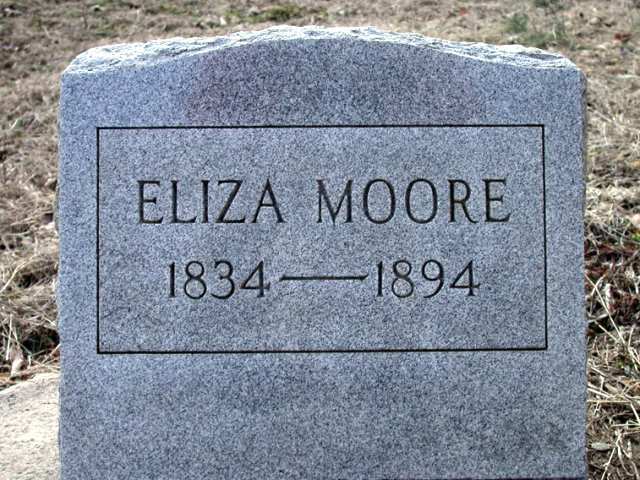 It's also not clear who Eliza Moore is. Samuel and Nancy Crawford's daughter, Larancy Mansker (1827-1867) married a man named John Moore, and they had six sons, Samuel, Uriah, Thomas, Wilson, Vincent and Henry. It's likely that Eliza was married to one of the Moore brothers. Can anyone identify her further? It's not really clear who the Sivberts are. I don't have any record of them marrying into the Mansker family, but there's obviously a close relationship of some kind. My best guess is that they were neighbors of the Manskers. Can anyone provide me more details? 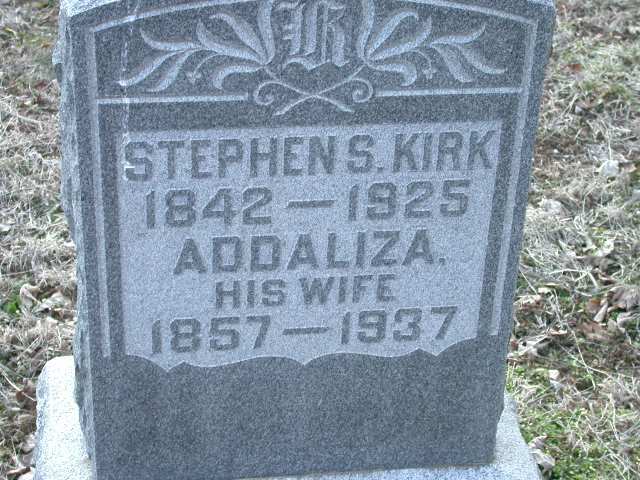 John was the youngest son of Addaliza Mansker and Stephen Kirk. 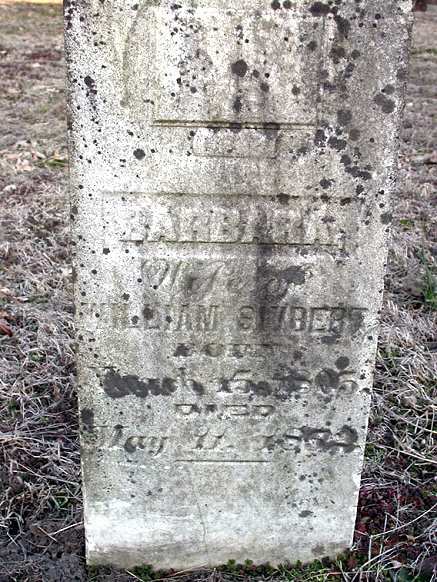 Addaliza was the oldest child of Samuel Mansker and his fourth wife, Nancy Nelson. 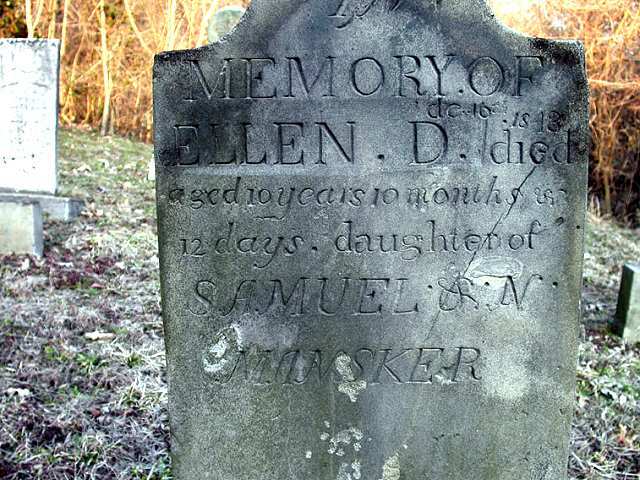 Like so many of Samuel's children, Ellen died early, just 10 years of age. She was the daughter of Samuel and his first wife, Nancy Crawford. Mary was the wife of Herman Cole Mansker (1863-1917); Herman was another of Samuel Mansker and his fourth wife, Nancy Nelson. Nancy was the mother of five of Samuel's 23 children. 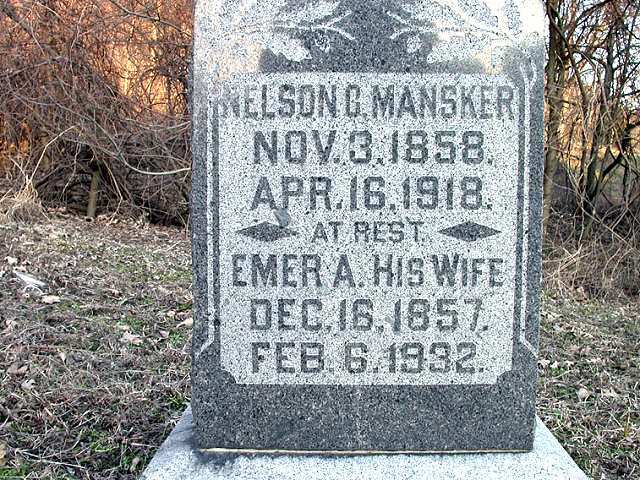 Nelson Crain Mansker was the son of Samuel Mansker and his fourth wife, Nancy Nelson. Nancy was the mother of five of Samuel's 23 children. Nelson's wife, Emma Aldabert Moore, is also buried here. 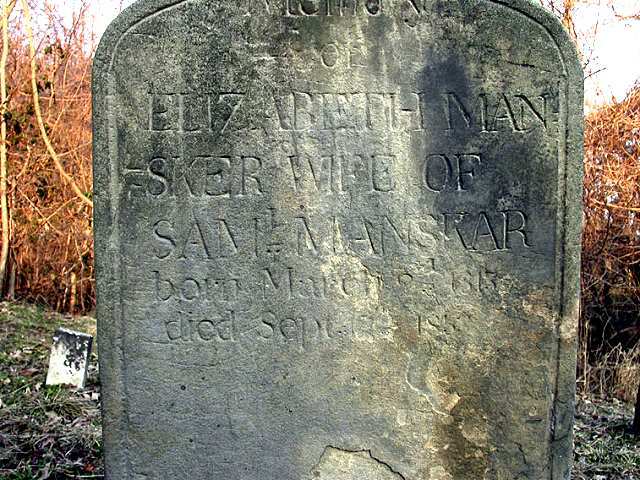 Elizabeth Bartel Mansker (1815-1853) was the second wife of Samuel Mansker and mother to 7 of his 23 children. Elizabeth started out as a servant to the Mansker family, and five of those seven children were born while Samuel was still married to his first wife, Nancy. Note that his name is spelled "Manskar" on the stone. Is it any wonder that there are so many variations of spelling our family name? 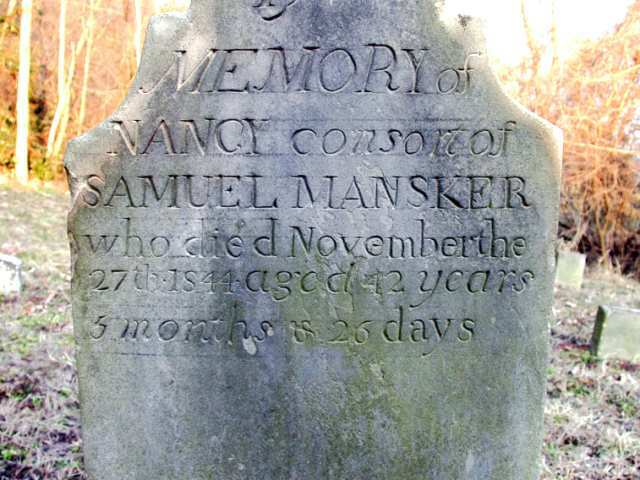 Nancy Crawford Mansker (1802-1844) was the first wife of Samuel Mansker and mother to 12 of his 23 children. 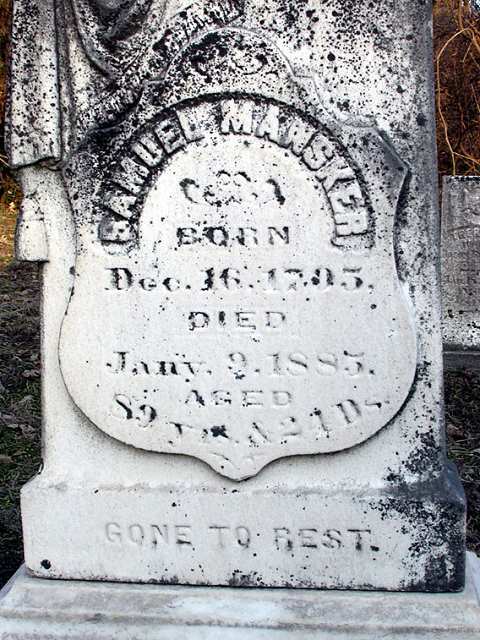 Samuel Mansker was the patriarch of this branch of the Mansker family. 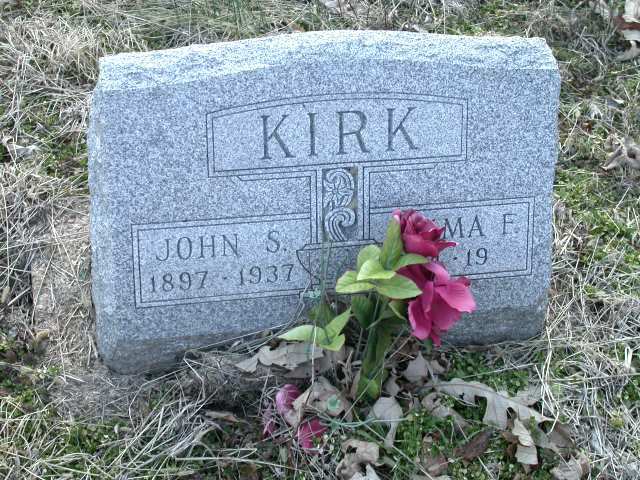 As far as I can tell, nearly everyone in this cemetery was related to him in one way or another. The Old Mansker Cemetery, Rockwood, Illinois Another view of the cemetery. 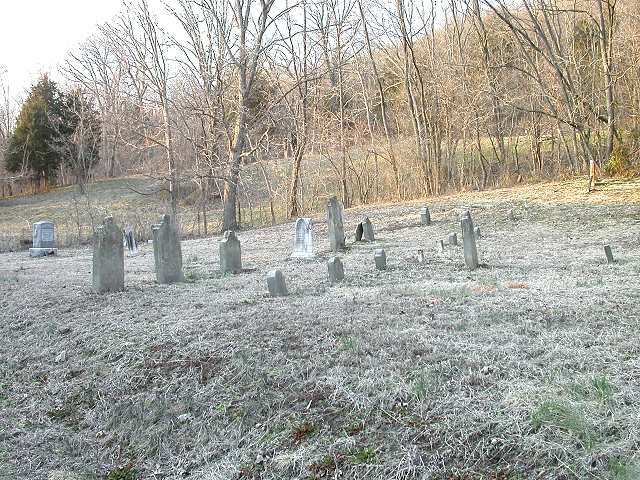 It's difficult to identify specific gravestones in this photograph. 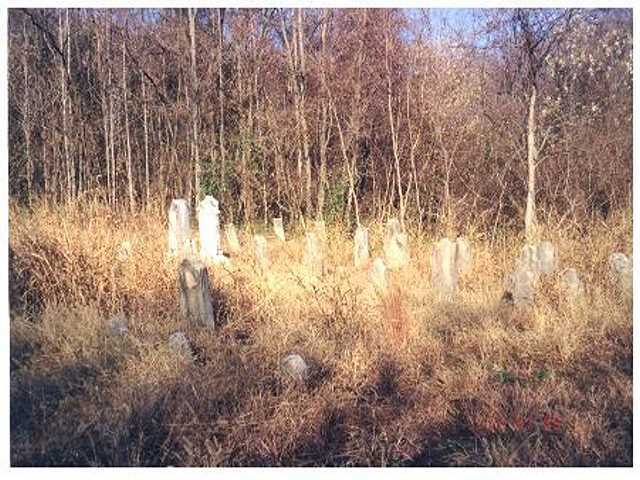 The Old Mansker Cemetery, Rockwood, Illinois Samuel Mansker's grave is near the far end of the row of tombstones on the left. 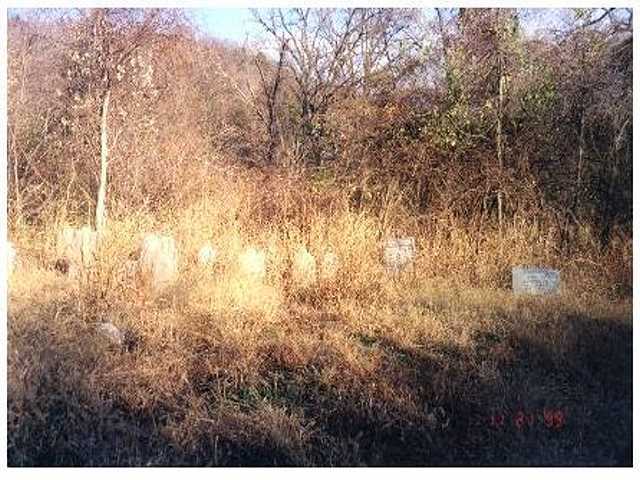 Mary Mansker, wife of Herman Cole Mansker, is buried in the first grave in that row. 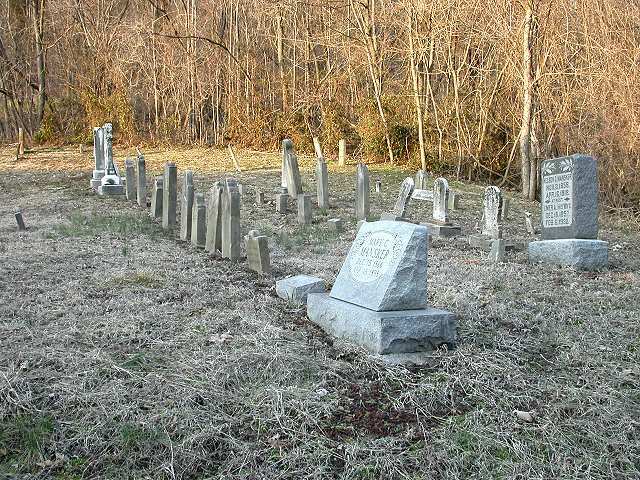 The large tombstone at the start of the row to the right belongs to Nelson Crain Mansker and his wife Emma Moore.